When most of your customers visit your barbershop for its cost-conscious pricing plan, how do you get customers excited about hair again? Our job was to develop a brand new strategy that wouldn’t eliminate Brainwash’ current customers and at the same time would attract more people. Happy Hair Days was what we came up with – a brand new way of wishing someone well, before, during and after the haircut. 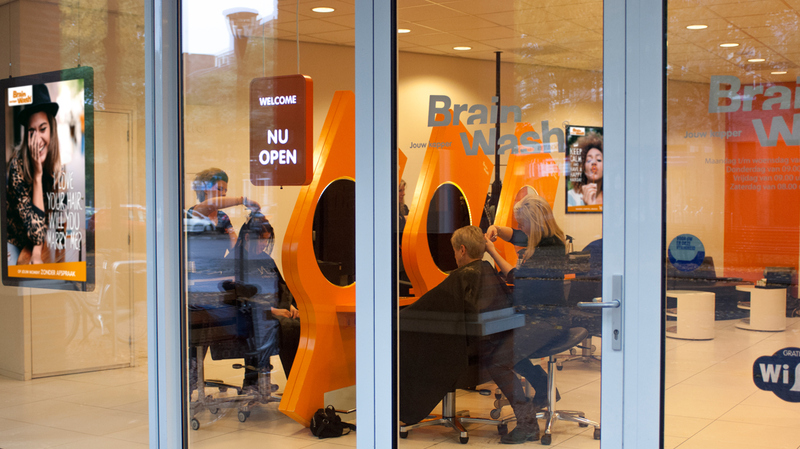 It’s a mental position that allows Brainwash to kickoff various initiatives and ideas – to strengthen their bond with current and potential customers. 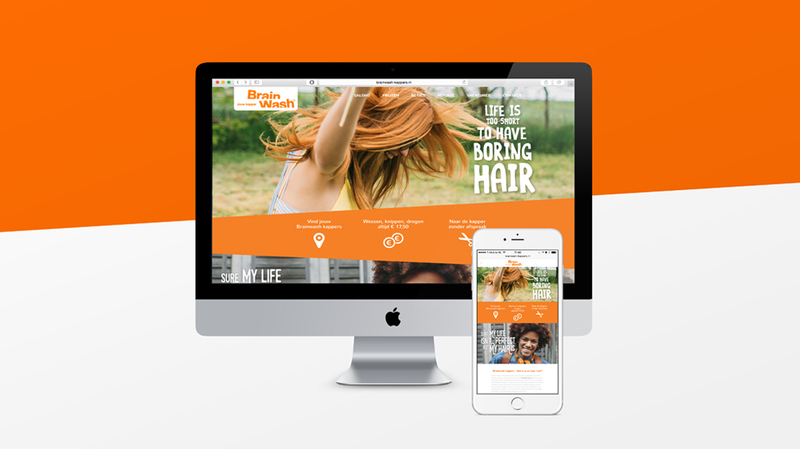 People have 156 bad hair days in a year, if we could make people feel better, we turn into a more meaningful brand for people. 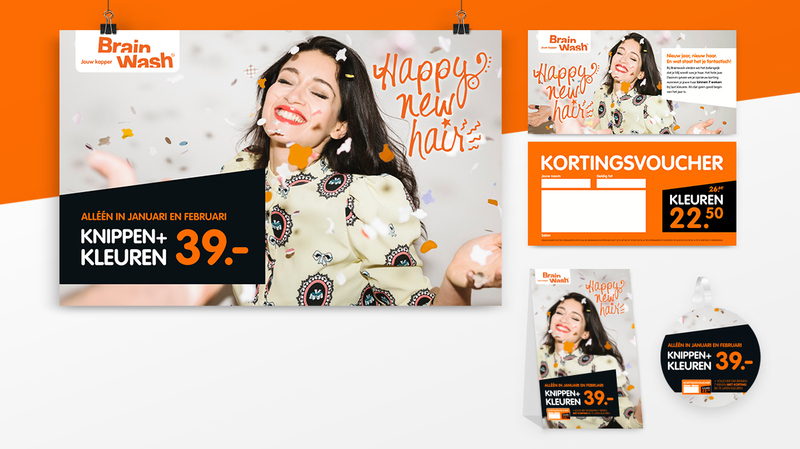 This resulted in a complete restyling of the brand, all affiliates and a activation campaign in collaboration with the Dutch Hair Foundation that featured one of Holland’s top bloggers Gwen van Poorten. With our special Brainwash tuk-tuk we asked people if they would donate their hair, right on the street for people who’ve lost it due to chemo therapy. 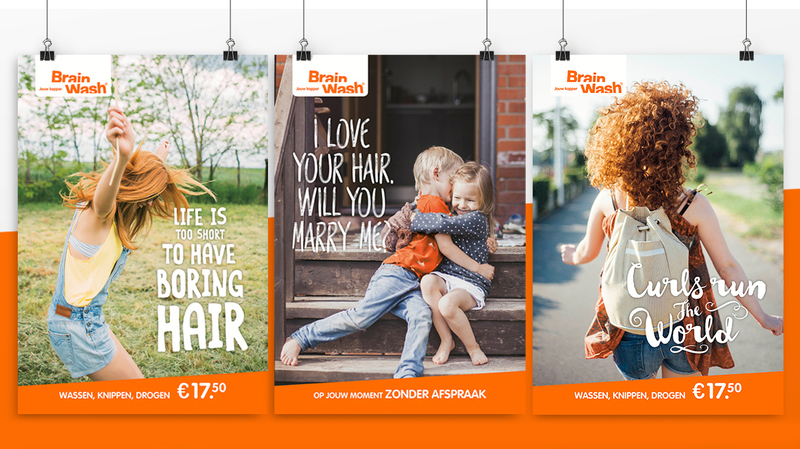 Over 200.000 views in two weeks, over 5.000 interactions and more than 175 people donated hair.